So Easy an Intern Can Do It! Nobody likes the unknown, especially in a professional setting. When I first started my internship with Storyware, I was introduced to numerous digital tools all at once, none of which I had experience with. Initially, I thought I would never figure out how to properly use Slack and Asana — two of Storyware’s most utilized tools. However, I was quickly proven wrong when I realized just how user-friendly these programs are. Slack is best described as your wildest group chat dreams brought to life. Think instant messaging meets storage and you’ll have a pretty good idea of just half of what Slack is capable of. Stewart Butterfield, CEO of Slack, revealed in a Tweet that the name of the program is actually an acronym for “Searchable Log of All Knowledge”. Slack is just that — an easy-to-navigate communication tool that indexes all of your team’s messages and file uploads, plus a search bar to easily locate all that you’ve uploaded or sent. 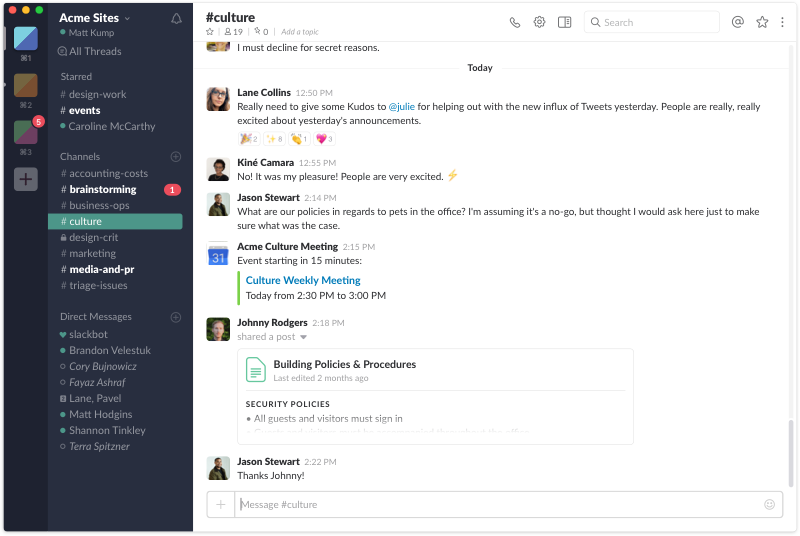 On top of that, Slack gives you the ability to create both individual and group messaging channels and even integrates with outside apps like Google Drive, Google Calendar, Dropbox, Asana, and more. We use this channel to communicate when we start and stop working for the day. It gives everyone a chance to say good morning, and also serves as a place to ask questions that apply to everyone. The Share channel is where we can send articles we find fascinating, relevant, or fun. We also have an integration with WordPress News in this channel that automatically sends important announcements from WordPress, which we use to host our website. This channel has a Google Calendar plug-in that automatically sends out reminders for scheduled team events or networking opportunities. We use this channel to share photos we’d like posted on Storyware’s Instagram. We’ve found that this is the simplest way to share content with the whole team while preserving the quality of the photo. We also create group messaging channels for each client and add those who work with that client to it so that no one gets overloaded with messages that don’t apply to them. Overall, Slack’s group-chat-like nature makes it a great place for back and forth conversations that go into making a decision. When that decision is made, Storyware turns to Asana to keep a record of it. In Asana, all our decisions live in the form of tasks. It’s where we organize and record all the work that needs to be done across our team. To keep tasks organized you can add categories, start times, due dates, priorities, and pretty much any other field you can think of that will help keep your team organized, efficient and motivated. Team members and clients alike can put in requests for work from others by simply creating and assigning tasks to the appropriate people. My favorite feature of Asana is that it gives the option to view tasks in different orders and formats. I can sort my tasks by due date or project and I can view my tasks in a list or in calendar format. This is extremely helpful because it allows everything to live in one place. When viewing a category like Storyware’s Marketing Resources tab, calendar view is great because it creates a clear visual of what content is being posted on what day. For a category like Company Resources, list view makes it easier to see everything at once in a clear and concise format. 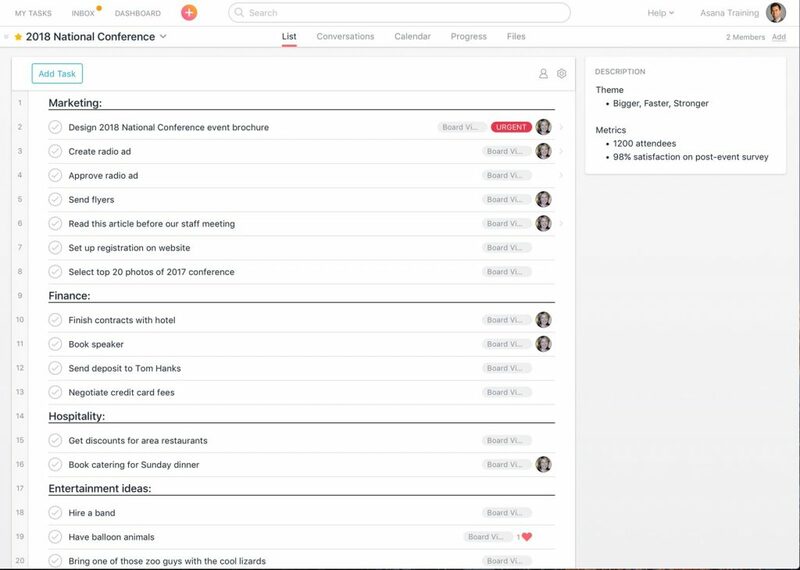 An example of what Asana’s board view looks like. Photo from Asana. Asana is especially useful considering not everyone is always working from the same location. It provides a connectedness that we wouldn’t have otherwise. 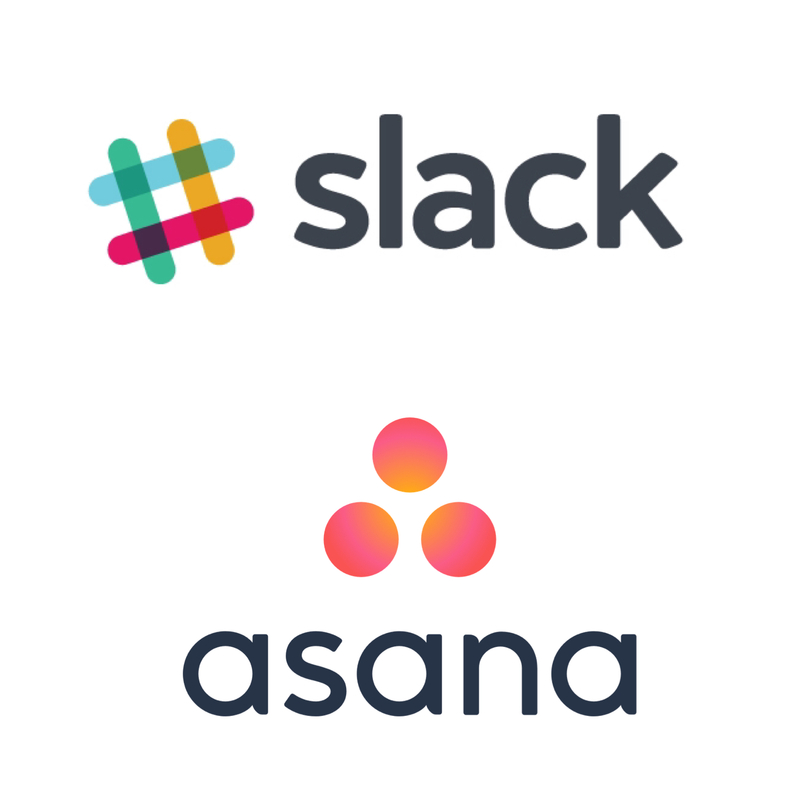 Slack and Asana make working remotely and on different schedules not only possible but painless. Both of these tools have given Storyware the flexibility that is key to our productivity, culture, and success. Best of all, learning to use these tools is a quick and painless process — it’s so easy even an intern can do it.